Redken Brews Clay Pomade 3.4 oz. 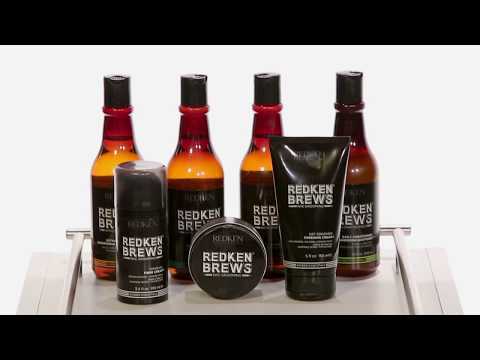 Redken Brews introduces the next generation of men's haircare, hairstyling, and grooming essentials. With Redken Brews, complete your client's hair regimen with a full range of products to fit their styling, haircare, and skincare need. The line includes stylers with endless look potential, beer-inspired, malt-infused haircare formulations, and skin solutions for shavers and non-shavers. Redken Brews Clay Pomade provides effortless style with a gritty finish. This styling product for men offers long-lasting hold with a matte finish, and is great for clients with fine to medium hair. PRO TIP: Cocktail Clay Pomade with Redken Powder Grip 03 for a grungy finish. HOW TO RECOMMEND: Recommend to clients who love rough, grungy, lived-in styles!